Since words are abstract many kids, and adults for that matter, confuse certain words when they are writing. They sound the same so how do they know which one to use? Use this free printable for them to quickly learn the difference. 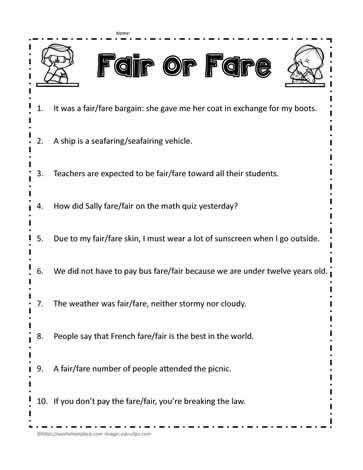 Teachers are expected to be fair/fare toward all their students. People say that French fare/fair is the best in the world. Circle the correct answer.